When writing to the Mail Preference Service, include your name, address, signature and a listing of all the different ways your name appears on mailing labels (i.e. Susan Smith, Susie Smith, Sue Smith, etc.). Send your request to the Mail Preference Service, ATTN: Department 14030563, Direct Marketing Association, P.O. Box 282, Carmel, New York 10512. There is no cost for this service. You can also register your name online, although there is a $5 charge for the convenience of doing so. Go to http://www.the-dma.org and click on “For Consumers.” There, you’ll also be able to remove your name from telephone lists and e-mail lists. Another option is to sign up for the National Do Not Call Registry, sponsored by the federal government. Simply go to http://www.donotcall.gov and register your phone number there. There is no cost and registration is good for five years. I’ve done this and it is remarkable how few calls I receive each day now. The “Do Not Call” law does exempt some types of organizations so you might still hear from local merchants, religious and charitable organizations, professional and alumni associations, political candidates and office holders. When you do hear from any of these groups, simply ask that your name be added to their internal “Do No Call” list. Most will honor your desire not to be disturbed. For those catalogs that still come through the mail, or those unsolicited e-mails that show up in your mailbox, be consistent in replying with “Unsubscribe” in the subject line or in calling the 800 number on the catalog and asking to be removed from the mailing list. Doing so now will minimize the stuff you have to manage later. Sort your mail over the trash can daily. In order to minimize the clutter that enters your home, sort your mail over the trash can. Toss out junk mail, catalogs you won’t order from (remember to call the 800 number first to have your name removed from the list!) and other advertisements. Put bills to be paid where you know you will see them and magazines where you’ll look for them when you are ready to read them. Respond to invitations as quickly as possible, then put them where you’ll be able to find them as the event approaches. Do this every day. In fact, make it a habit to do it the minute the mail comes in from the mailbox. Tossing out will minimize what stays in your home. Doing it every day will prevent accumulation and help lighten your mother load. Author Mary Byer’s books, How to Say No … and Live to Tell About It, The Mother Load and Making Work at Home Work, reflect Mary’s own philosophy of living a life that reflects your priorities. With wit, humor and insightfulness, Mary challenges you to take control of your circumstances, to become more confident in the roles that you play, and to discover new energy for the things that are important to you. 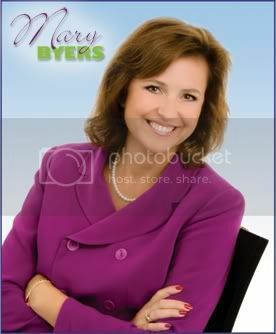 For more information about Mary and her books, please visit her website at www.marybyers.com. Oh i love getting rid of stuff! So cleansing. This is a great post not just physcial stuff but all kids of clutter!